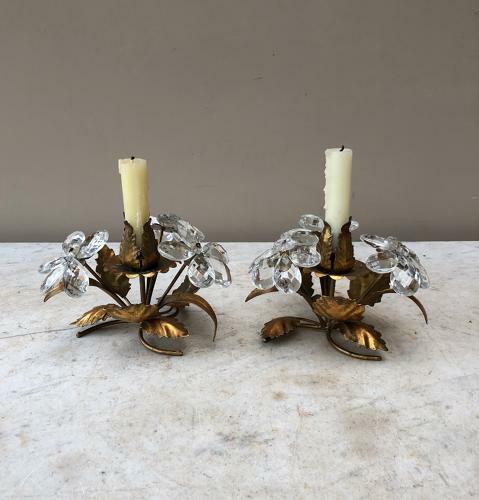 Very pretty pair of 1950s gilt and crystal glass candleholders. Beautiful centrally on a table setting. Low so perfect to see over. Gilt leaves and glass flowers.